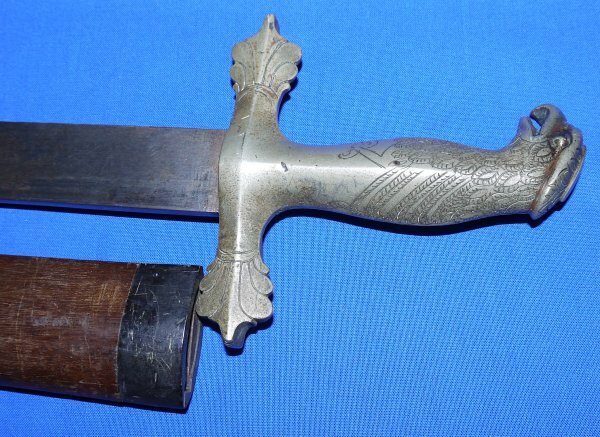 In very good condition, a scarce 19th Century Sarawak Borneo Dayak Pirate's Garuda Hilted Piso Padang / Podang Sword. The Dayak "Pirates" were less pirates (unlike the Moro pirates from the Philippines that plagued Sarawak, North West Borneo), more rebellious locals demonized as pirates by the Rajah of Sarawak. But this is the type of sword their commanders wore. 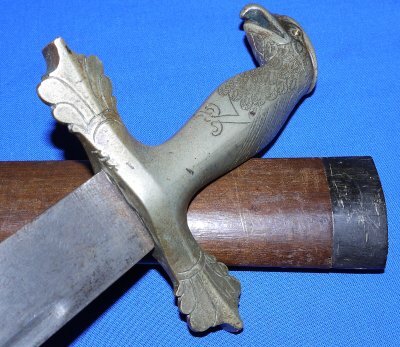 The Garuda hilted Piso Padang is distinct from the round pommel Sumatran piso padang which style was also used by the Dayak tribes of Southern Borneo. 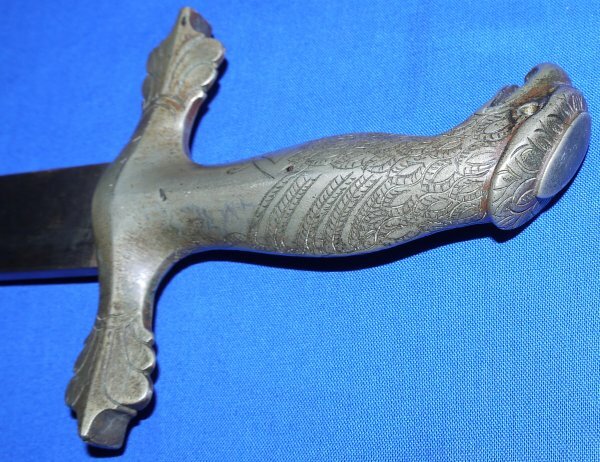 The garuda hilted dayak sword is therefore much scarcer and evocative than the more common Sumatran version. The 28 3/4 inch blade has a machete style point (maybe repointed due to damage in the pst), is in good condition and form in the hilt. The garuda hilt in very good order, some age / wear as to be expected. The wooden scabbard / sheath is in good condition and may be a later replacement, though clearly an authentic one. The sword sheathes and draws well. 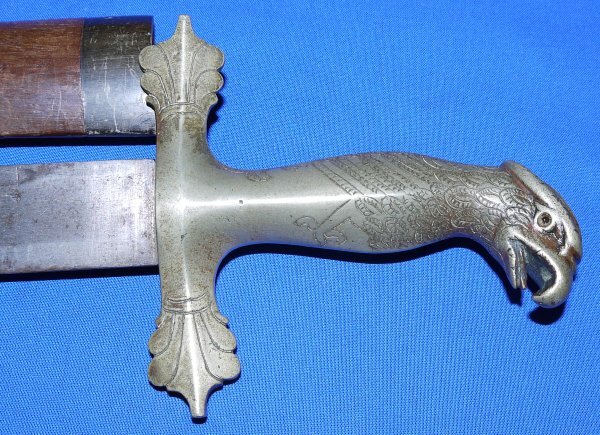 These are very rare swords; just do a Google search for Sarawak Dyak Pirate's (or Garuda hilted) piso padang / sword. VGC! A bargain at only £750. Please quote item reference AD35. Further / full sized images available upon request. Box 0481-1m (1.643).